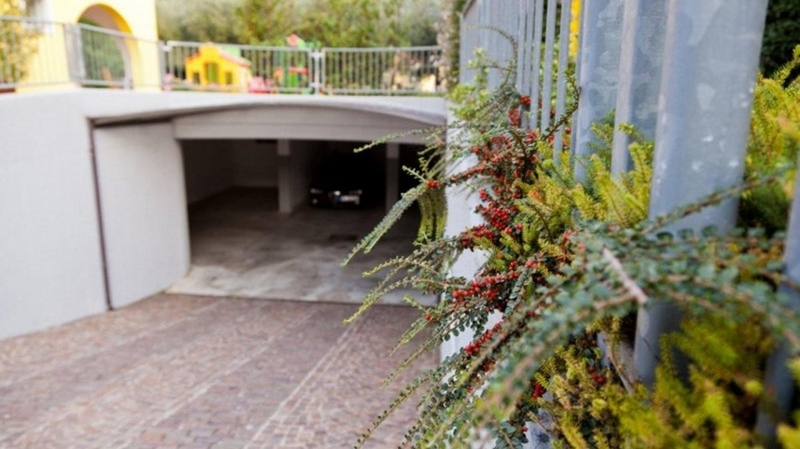 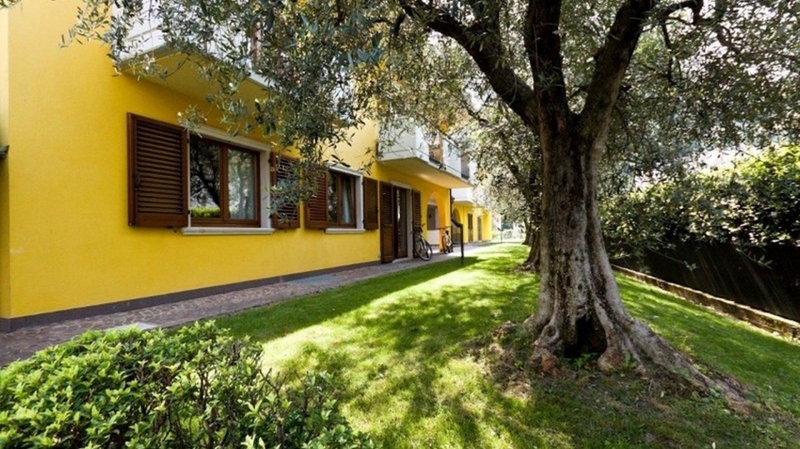 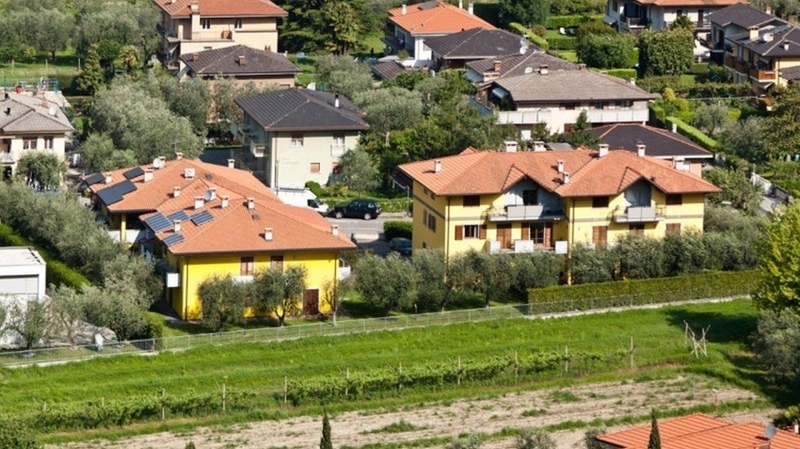 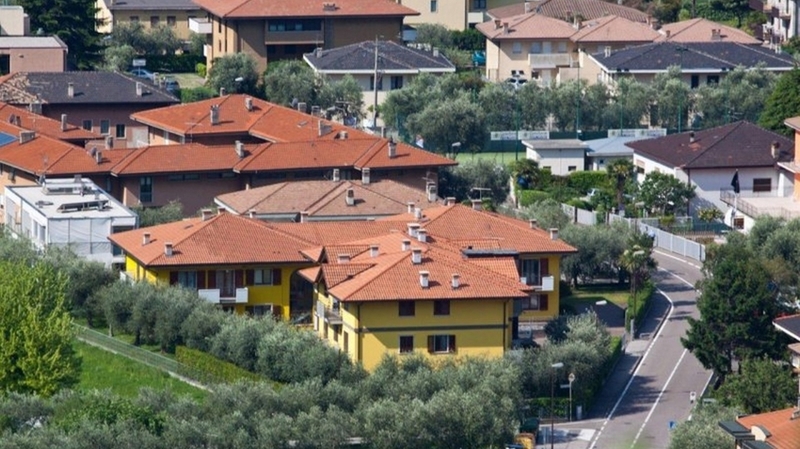 The apartments of Casa Carla in Torbole are surrounded by magnificent olive trees and are located only 10 minutes from lake Garda, from the village centre and from the beach. 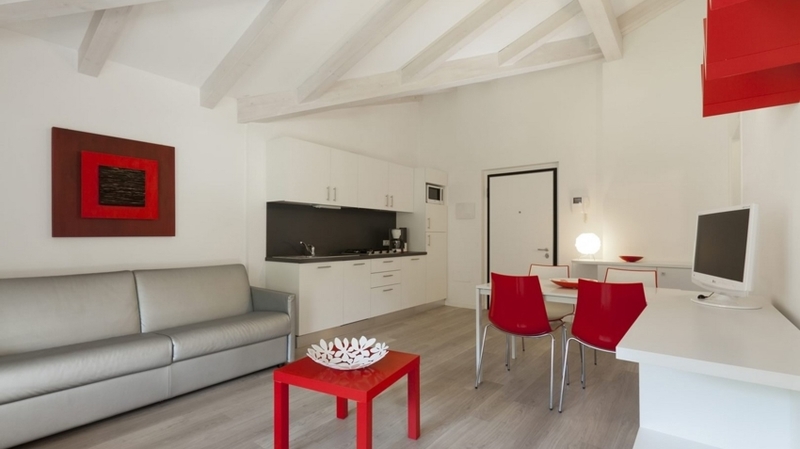 The cosy apartments are new and offer any comfort. 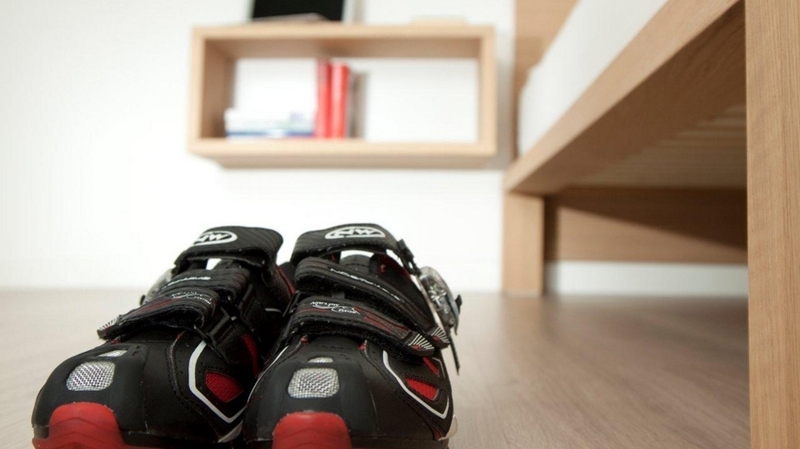 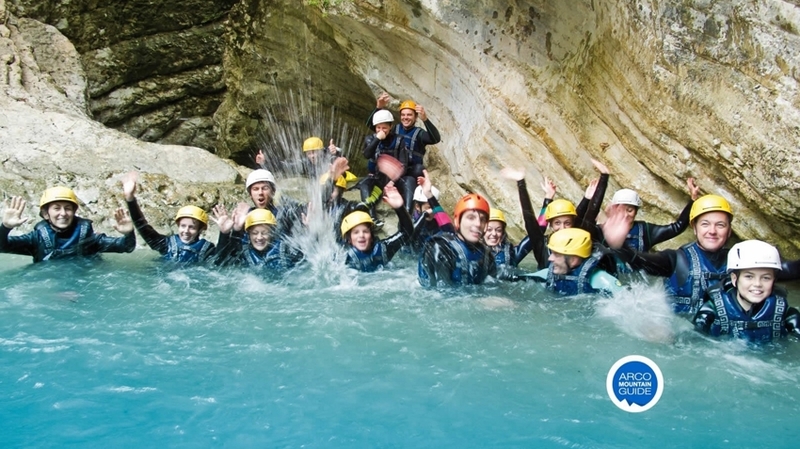 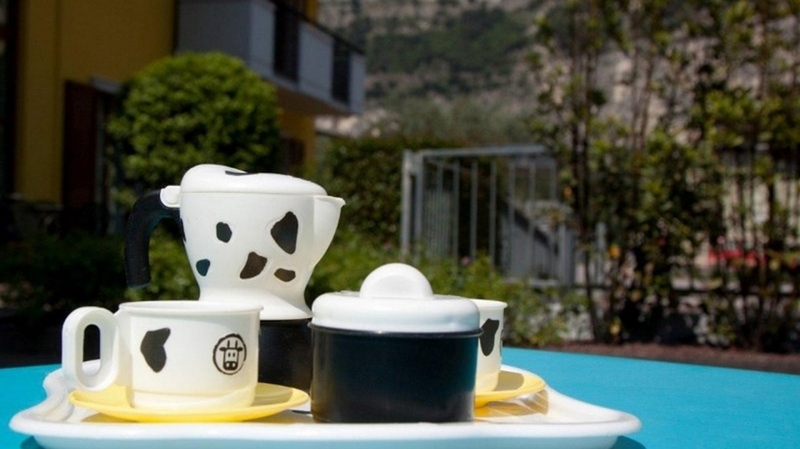 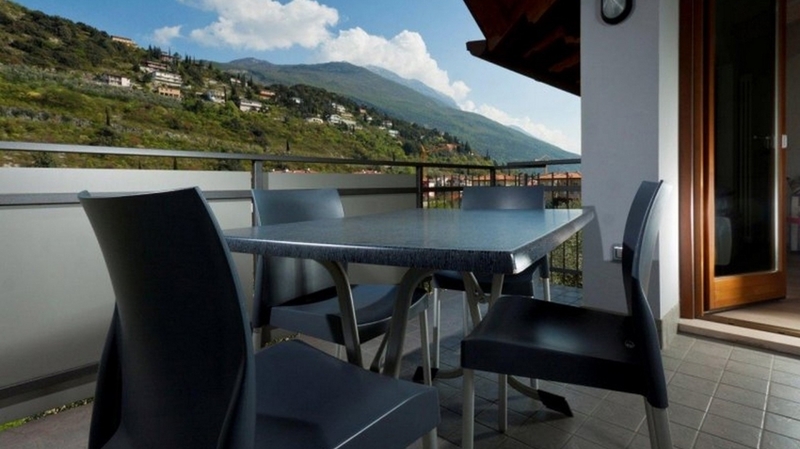 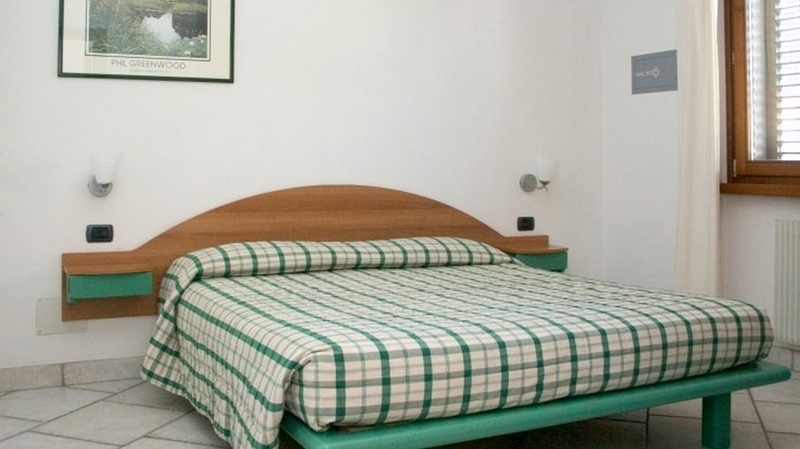 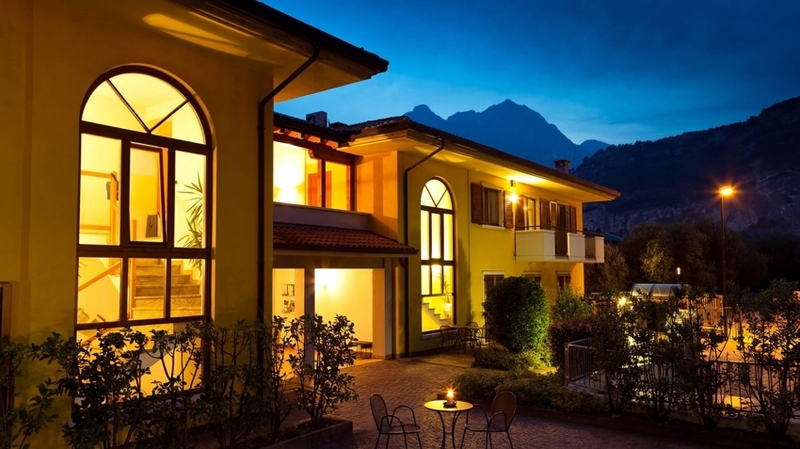 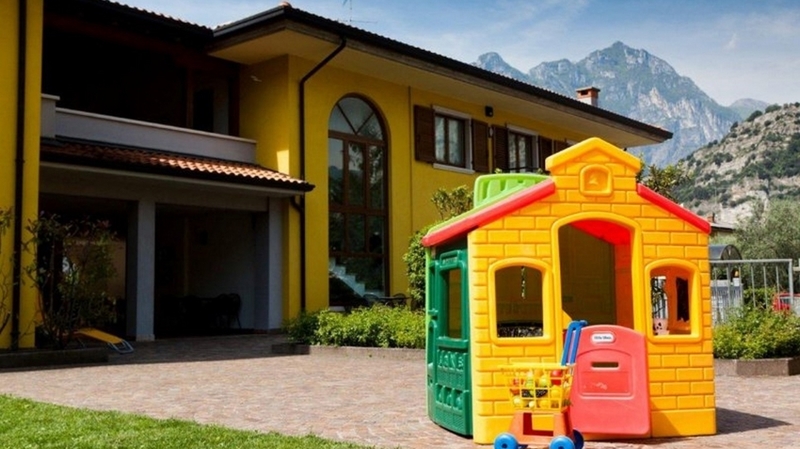 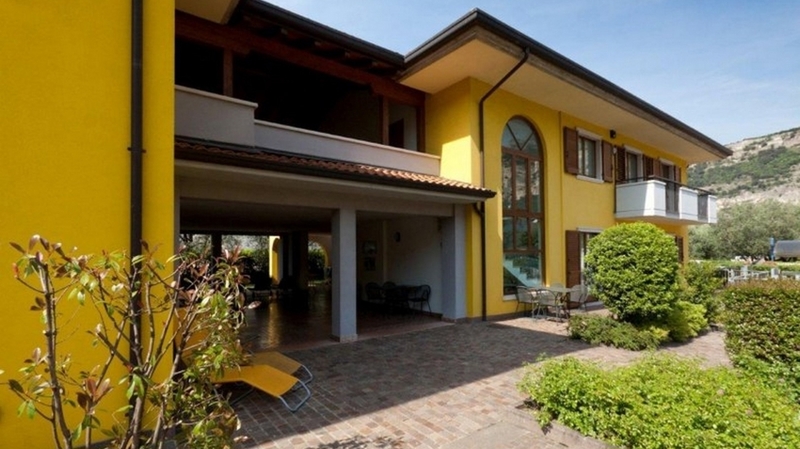 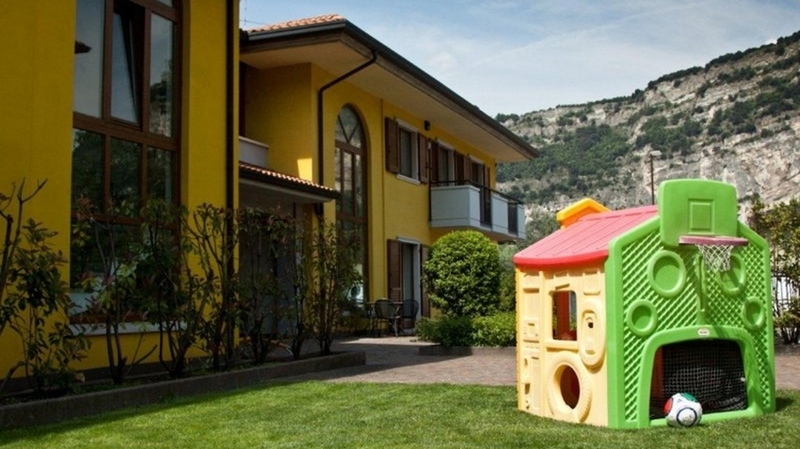 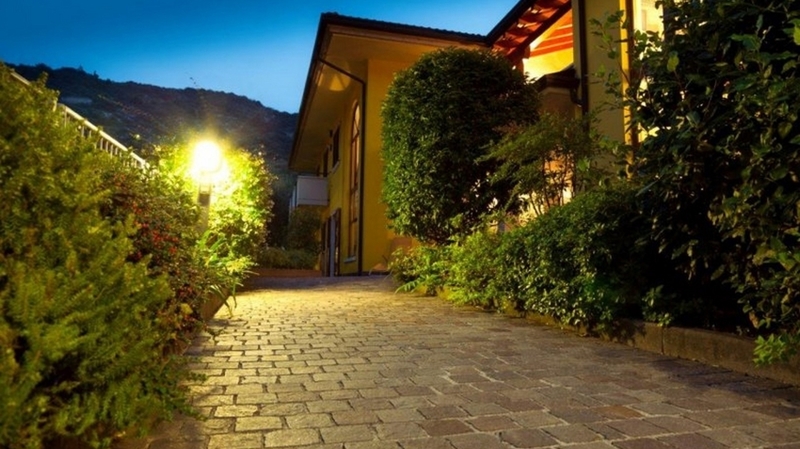 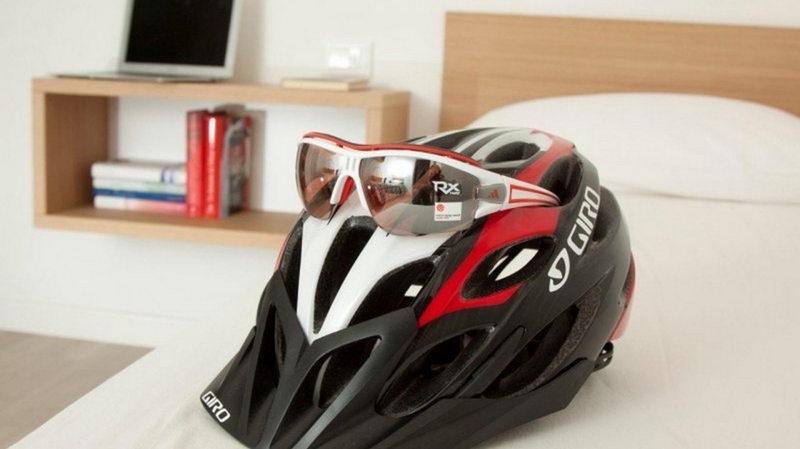 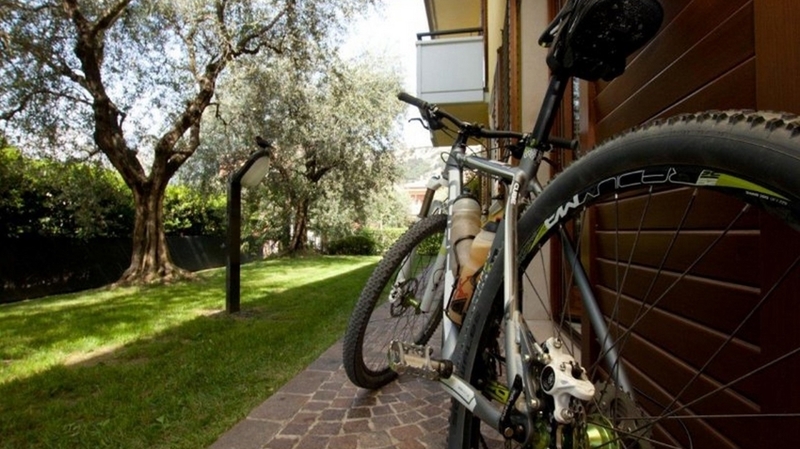 They are an ideal accommodation for active and relaxing holidays at Lake Garda. 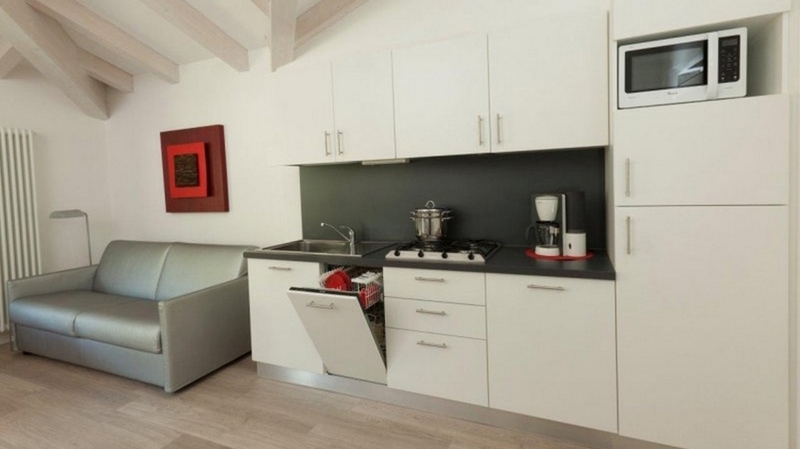 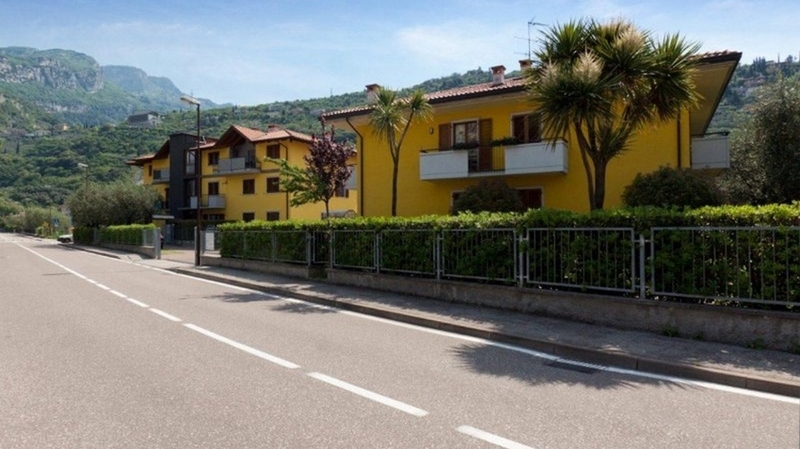 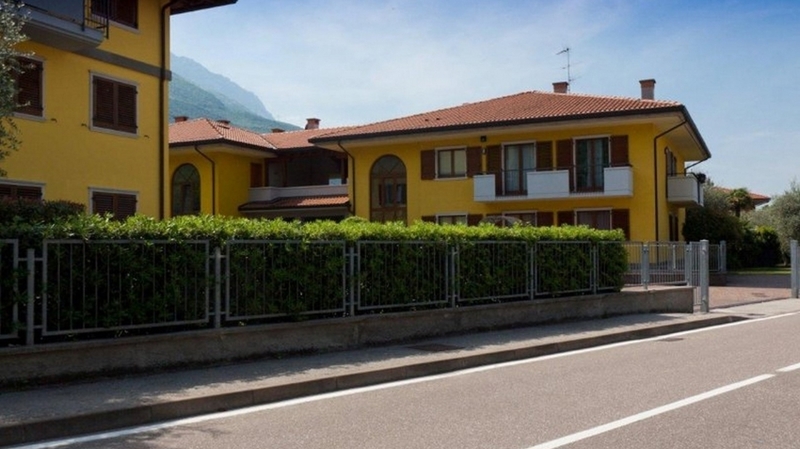 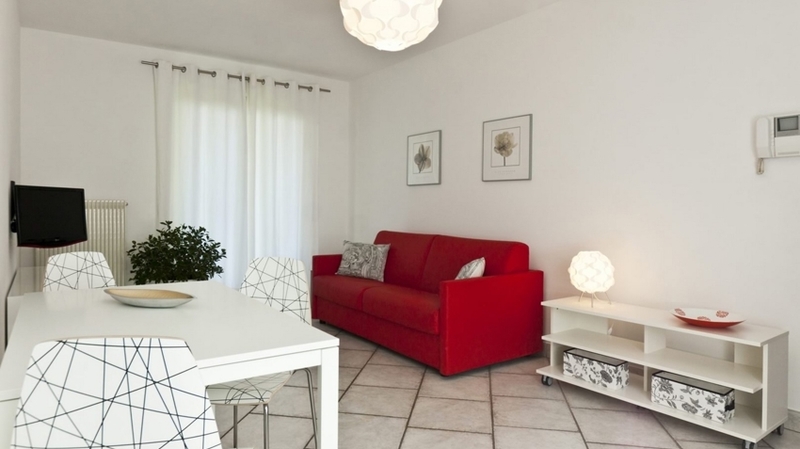 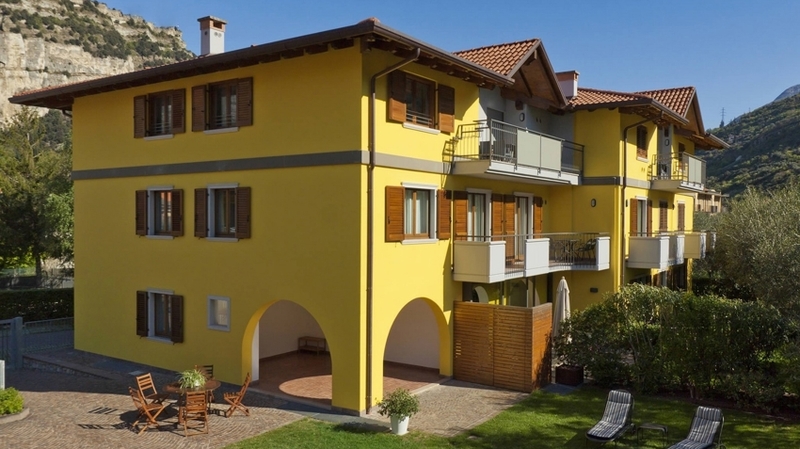 The spacious apartments (about 65 m²) of Casa Carla in Torbole all have 2 bedrooms, a living room with kitchenette and sofa bed, a bathroom with shower as well as a terrace or a balcony. 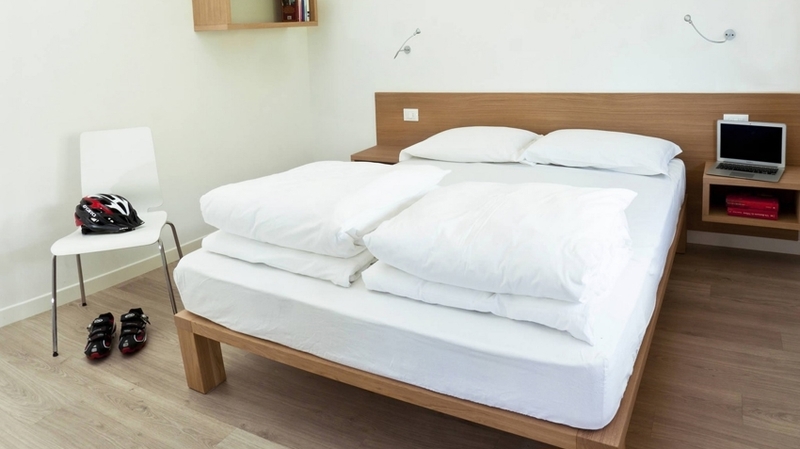 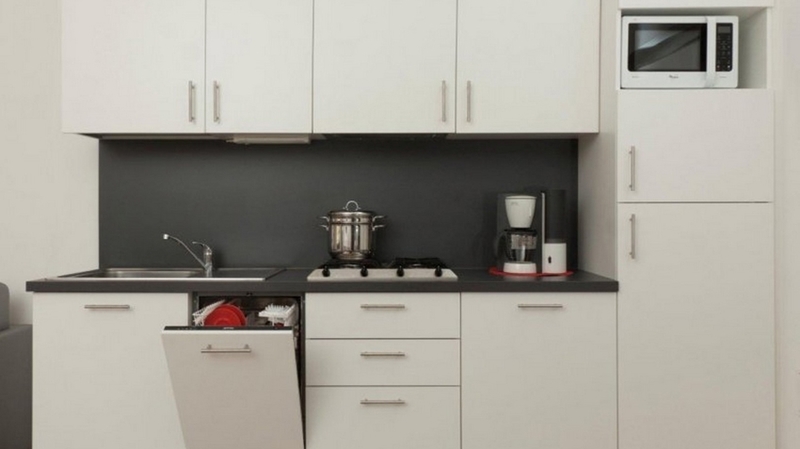 The apartments are equipped with any comfort and offer a dishwasher, a washing machine, satellite TV, an ironing board (iron on request), a coffee machine, a safe and radiators. 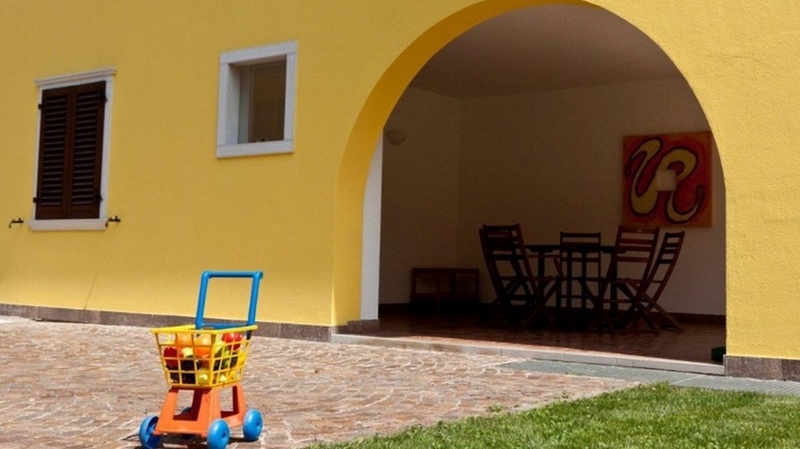 Children’s bed s and highchairs are available on request. 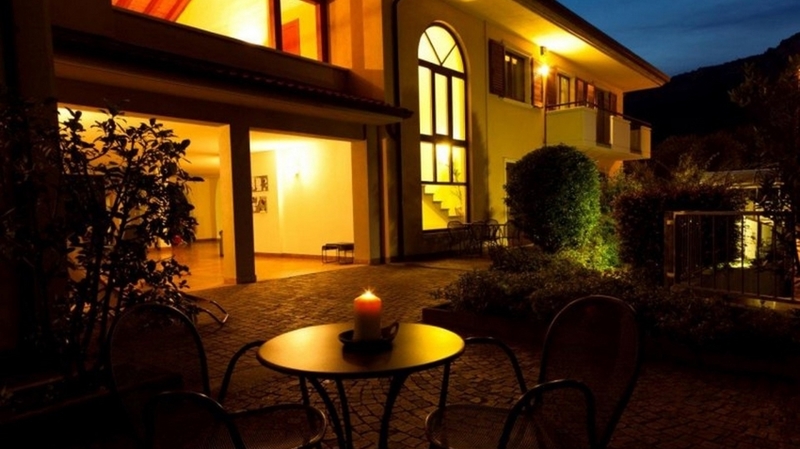 The spacious atrium with tables and chairs is the ideal place for a cosy breakfast or dinner. 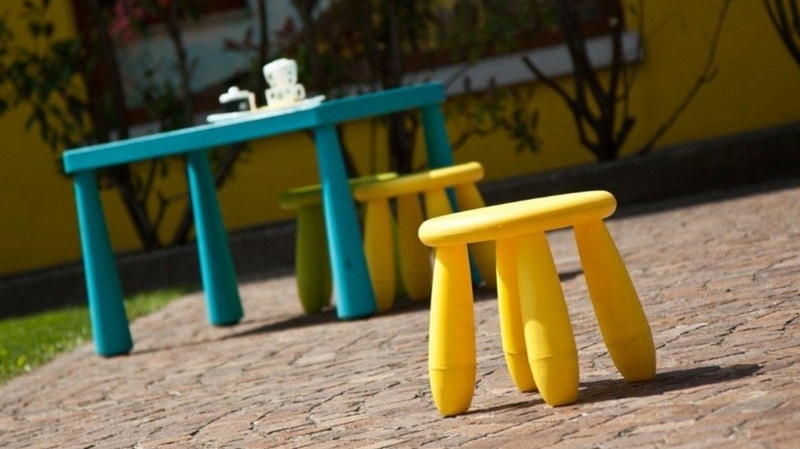 In the garden with sunbeds, you can spend relaxing moments. 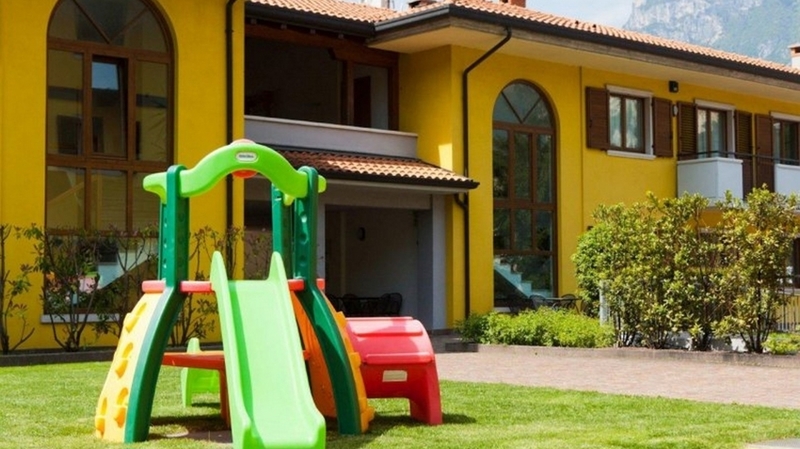 Kids are offered much space for playing. 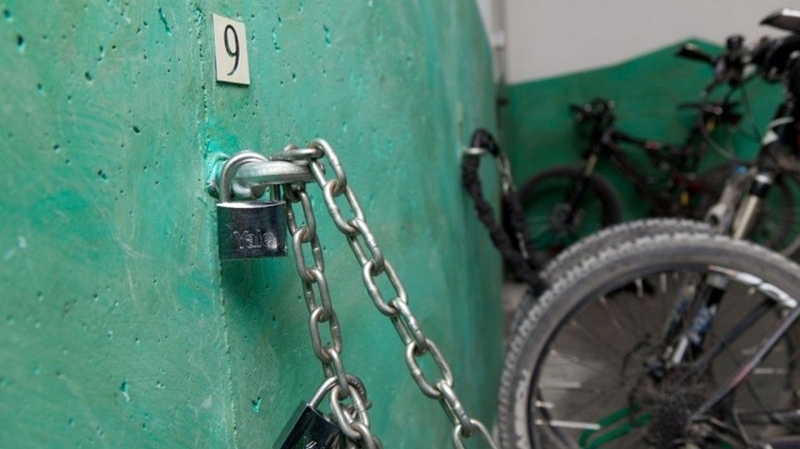 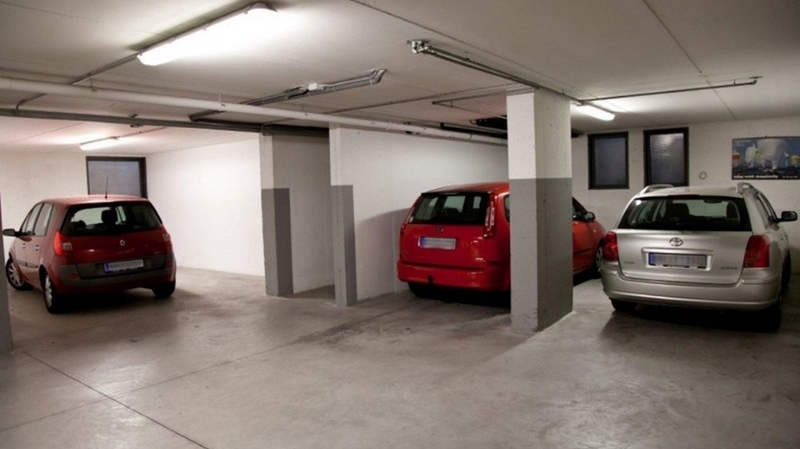 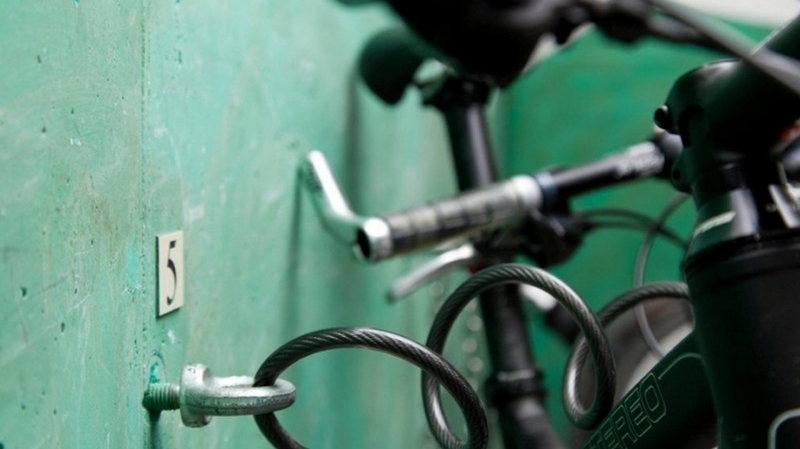 For our guests, we also offer a parking lot, garage as well as a secured depot for bikes and surfboards with repairing tools. 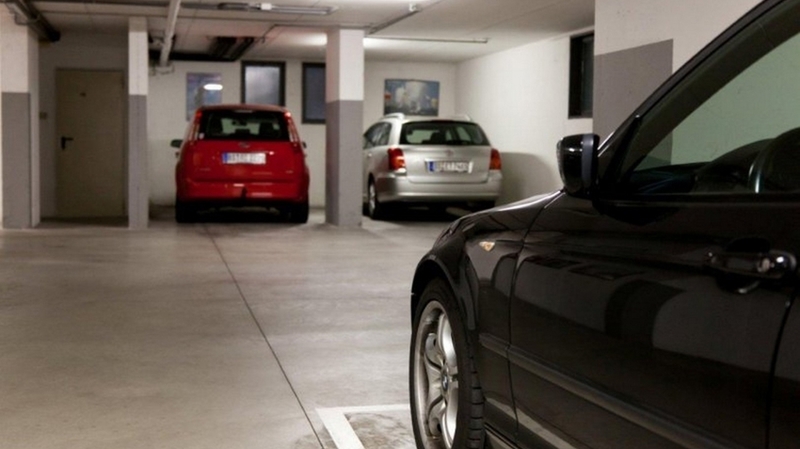 WLAN is free and very fast in the whole building. 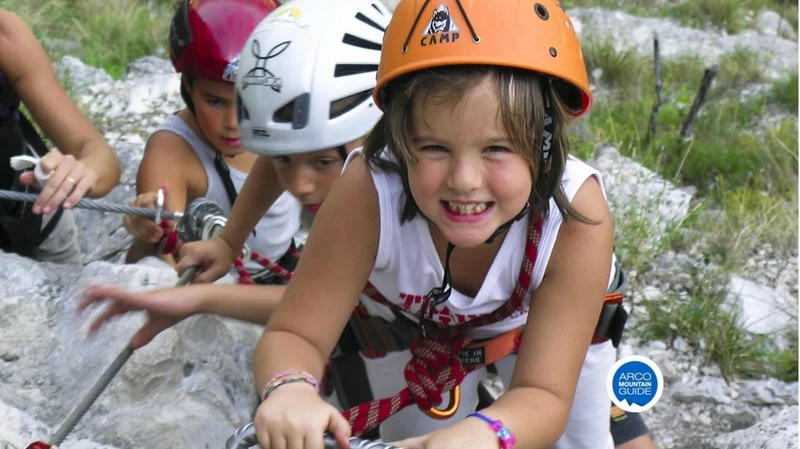 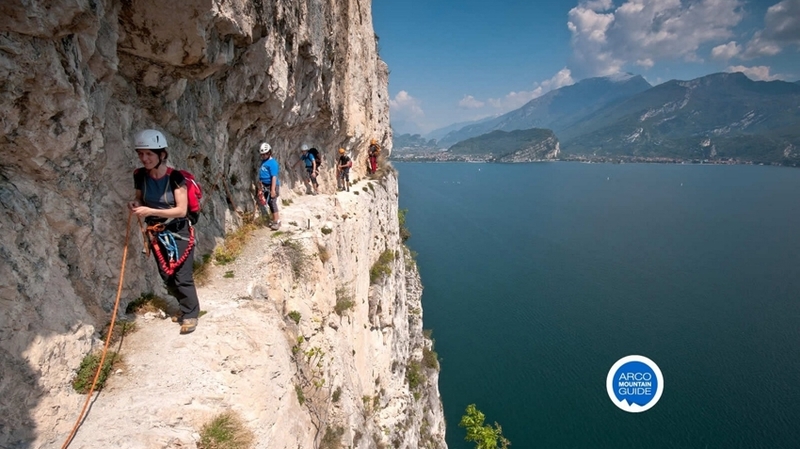 Torbole is a famous holiday destination at Lake Garda and offers a broad selection of activities. 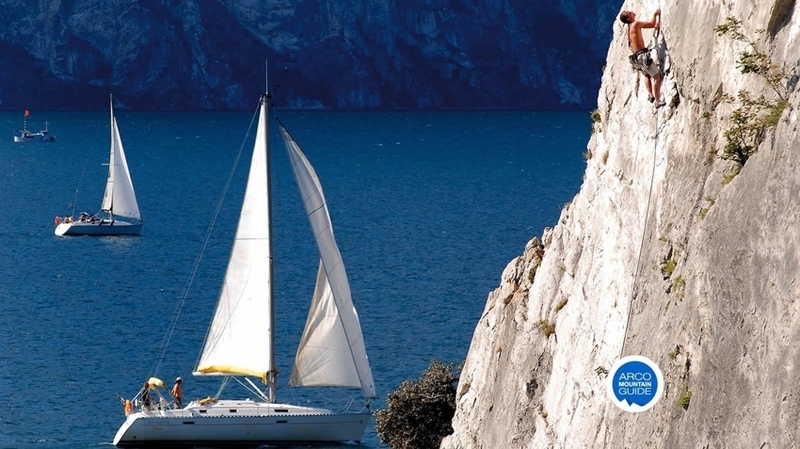 At the beach, surfers, sailors and bathing lovers will feel like in paradise. 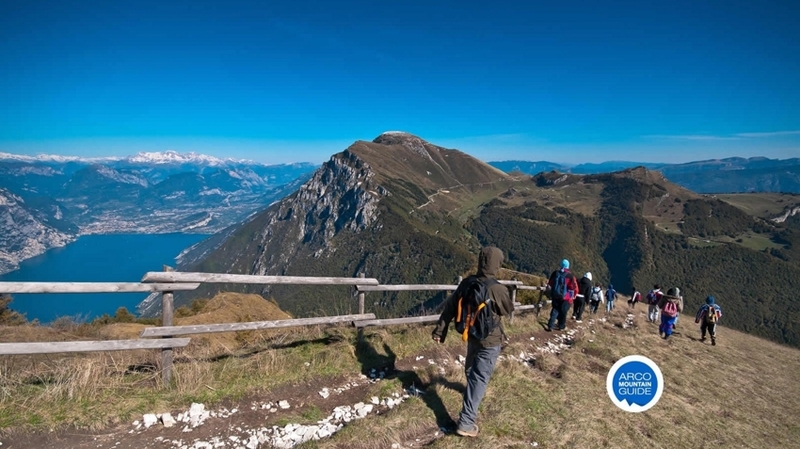 In the close surroundings, you will also find magnificent climbing parks, dreamlike hiking paths with panoramic view as well as unforgettable bike tours. 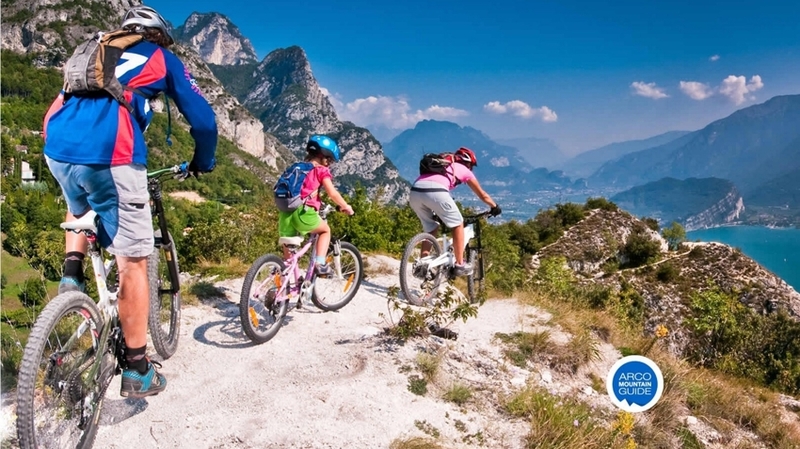 The cycle paths of Lake Garda are a highlight for the whole family. 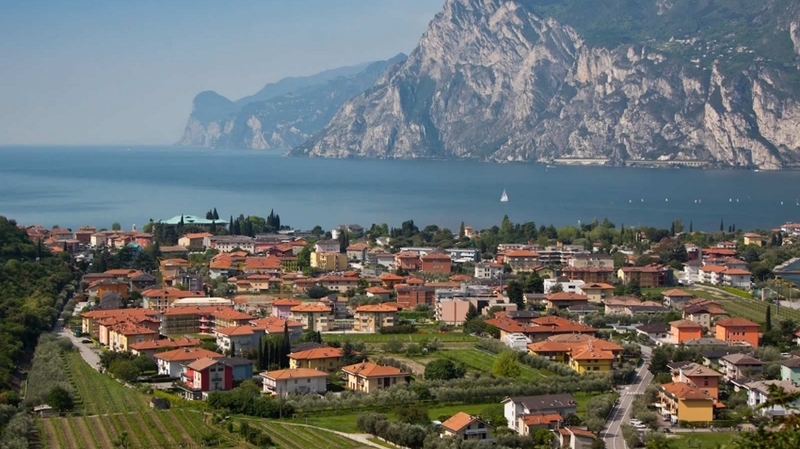 The centre of Torbole offers countless shops, picturesque squares, restaurants and bars.